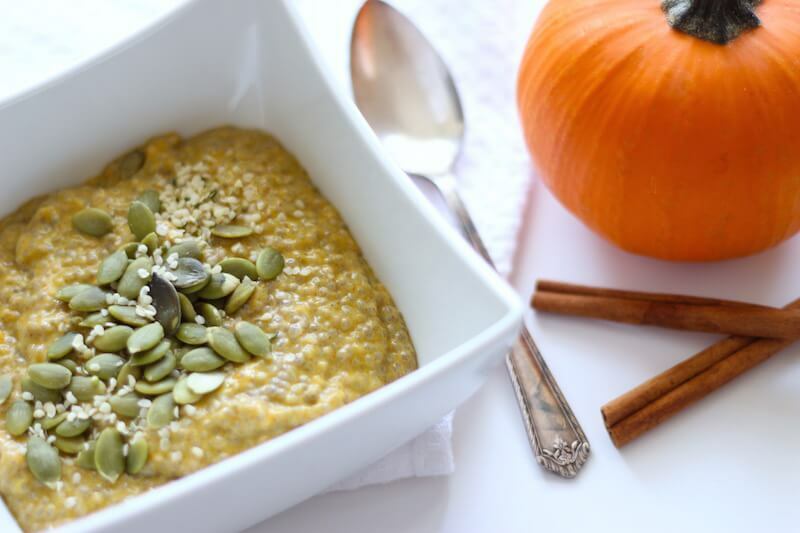 This pumpkin pie chia seed pudding recipe is the best paleo, vegan breakfast or dessert! It's a super easy 10 minute set up, then just put it in the fridge! 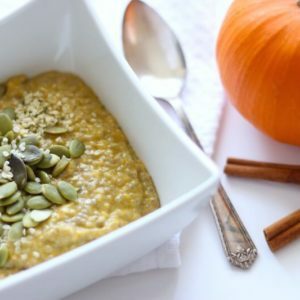 This pumpkin pie chia seed pudding recipe is the perfect paleo and vegan healthy breakfast or dessert! It’s a super easy 10 minute set up, then just put it in the fridge for a few hours or overnight! Does your morning routine include a bowl of breakfast cereal or oatmeal with fruit? Eating a low fat, high carb breakfast can set you up to ride the blood sugar roller-coaster all day long which makes you more hungry, irritable and craving sugar. No one wants that! A high-protein breakfast packed with healthy fats is the best way to start your day to ensure that you’ll be full and have good energy. That doesn’t have to mean you have to be stuck with eggs, meat and veggies day after day. 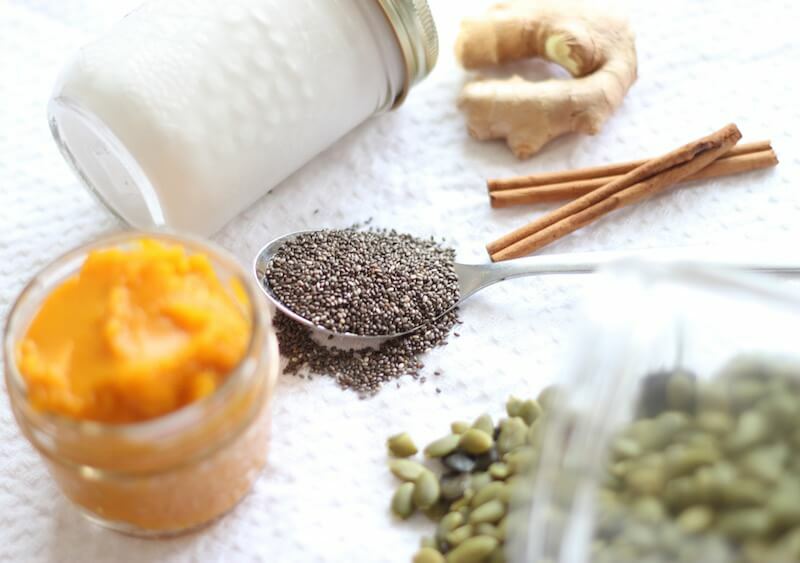 That’s where this pumpkin pie chia seed pudding comes in. 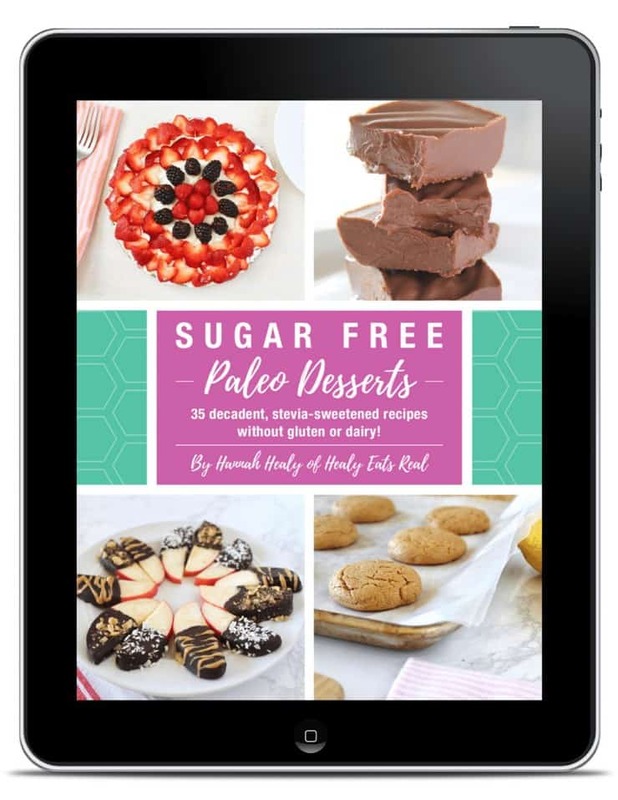 This recipe is on the sweet side, but won’t set you up for unstable moods and food cravings all day. It’s made with pumpkin, chia seeds, coconut milk, almond milk and other nutrient dense paleo and vegan ingredients. This pudding is a total morning treat that’s also the perfect way to fuel your busy day! In a medium-sized mixing bowl, combine the pumpkin and coconut milk with a small whisk until they are completely incorporated. Add the ginger, cloves, cinnamon and maple syrup. Whisking to mix well. Slowly add the almond milk and salt, gently whisking until the entire mixture is uniform. Finally, stir in the chia seeds well until they are distributed throughout. Cover the bowl with plastic wrap and refrigerate for at least 3 hours, or overnight. 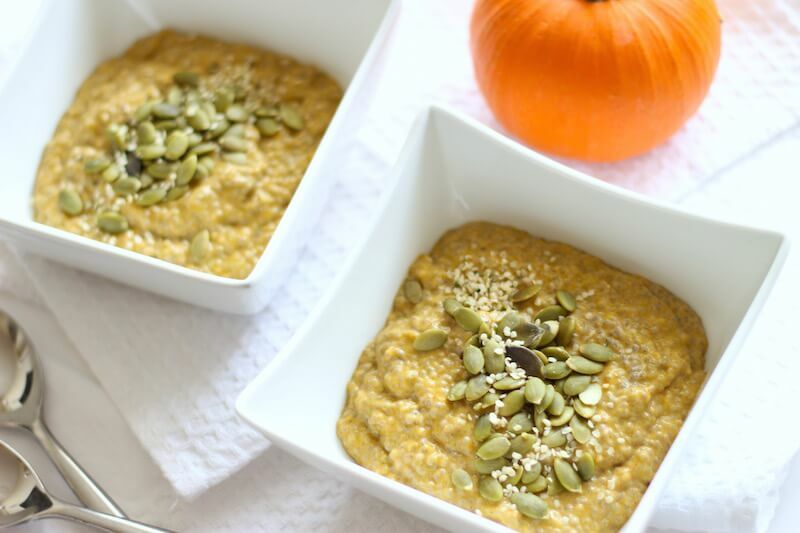 To serve, scoop the set pudding between bowls and top each portion with 1 tablespoon each hemp and pumpkin seeds. Enjoy! Note: if you are on-the-run, divide the mixture between 3 mason jars in the evening and let it set overnight. In the morning, you have an easy, portable breakfast. 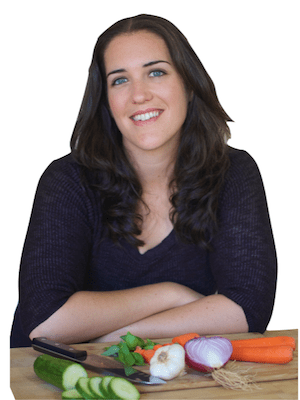 Ashley Sauvé is a Certified Nutritionist and Wellness Chef based in Toronto. 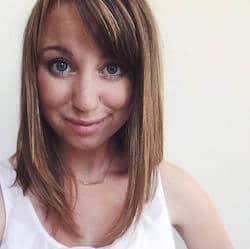 She is the blogger behind Nutritionist Eats. Her areas of expertise include: women’s health and hormone balancing diets, eating for autoimmunity, anti-inflammatory diets, gluten-free living, elimination/hypoallergenic diets, weight loss and metabolic balance, eating for energy and immunity and ancestral nutrition.